Every once in a while I encounter a person who, through writing or teaching, brings a definite shift to the way I approach the world. This happened some years ago while I was studying Orthodoxy. 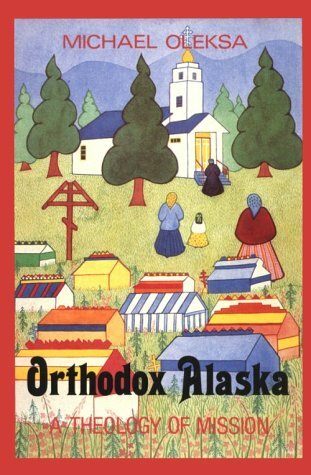 A friend sent me some recorded talks on evangelism and culture by the priest Michael Oleksa entitled “Orthodox Alaska.” He has a book of the same title which is so dense in meaning and richness of insight that it is similar to a doctoral treatise, and may well have started as his. To my benefit, his oral teaching is full of stories and thoughts that are not in the book. I have spent hours, not something I would normally have the drive to do, not only reading his book but also transcribing those tapes, because the meaning within them is so valuable to me. No, this is not an evangelistic spiritual gift that I carry around with me. Then why do I value so much the teachings of Father Oleksa, a priest who specializes in culture and evangelism? Because I am a counselor by trade and he has revealed to me the wise Orthodox approach to introducing Christ within a culture and in doing so, has given me a pattern to follow as I work with individuals. My goal is to help them be free from what entangles them and to enter the fullness of the abundant life Christ promises, the same goal as the evangelist. 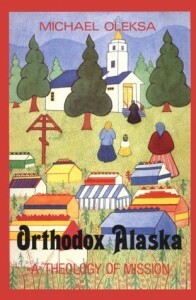 Father Oleksa writes of how a group of Russian monks from the Valaam Monastery, hearing from Siberian traders about the goodness of heart they had seen within the native tribes of Alaska, took up the task to enter Alaska with news of Christ in a manner that respected the people and their traditions. 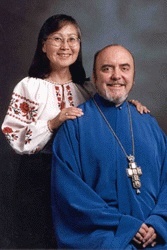 Father Oleksa is married to a native Alaskan and is familiar with the unique spiritual wisdom of the many Alaskan tribes. A wisdom enhanced and completed through the introduction of the gospel. He speaks of how the traditions of those cultures teach the children how to become women and men of noble character, how to be resilient in the challenges of life, how to be a blessing to their environments as husband, wife, daughter, son, provider or elder. He tells of how the evangelistic efforts of well-intentioned protestant missionaries, along with the exploitation of opportunists who forced the trading of food for furs and brought the natives into dependency on outsiders rather than on themselves, eroded the integrity of the traditions through which wisdom had been passed down for many generations. He speaks of the power of storytelling in those cultures, which the western mind might overlook because the stories were not written down. And of how many of the stories have been lost because of the enforced squelching of the native language in order to bring in western education, so that the elders could no longer communicate with the young. The suicide rate is high among young people of these tribes, perhaps because they have not developed a sense of identity, of belonging and of purpose that we receive through our families and culture. The native wisdom is overlooked by outsiders, its dignity undervalued. 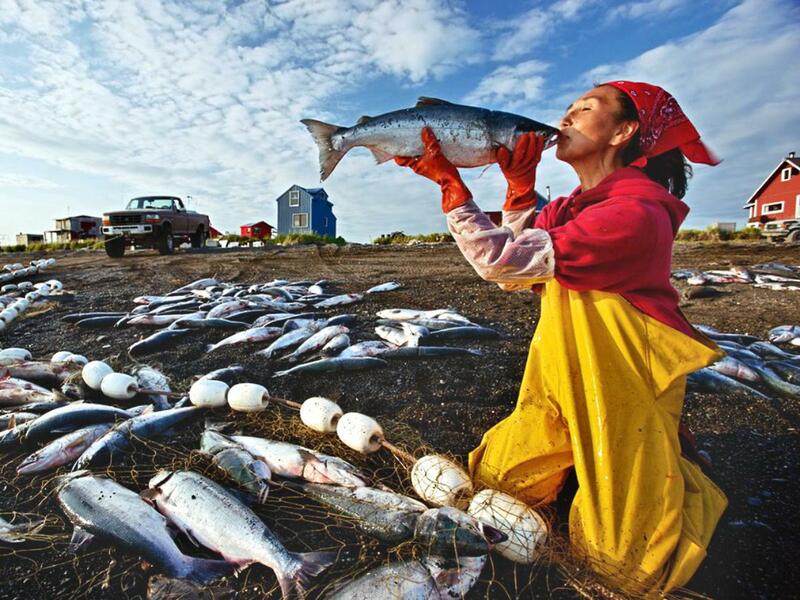 Yupik tribeswoman in Dillingham on Bristol Bay in Alaska. Most Yupik are Orthodox (both in Russia and in Alaska). Yupik” means the Real People. Father Oleksa writes of how God’s Word, that is Jesus through whom we were all made, is all over the world. All cultures have some wisdom. But God chose one nation to groom and discipline and instruct and to especially love and forgive, Israel, through whom He then was born as the Christ. We would do well to look to this Israelite Jesus to learn of God’s path for us out of all our troubles. He who did not eradicate the Jewish culture but completed it and offered it in a new perfected form to all of us outside the Jewish nation. The wisdom of Christ is everywhere in the world. It is there, but has not been cleaned up. If syncretism must at all costs be avoided as distorting or corrupting the gospel message, inculturation, on the other hand, is inevitable and necessary. However, inculturation is only possible when the evangelist knows the Orthodox tradition and can therefore discern what is and what is not compatible with it. Inculturation is the planting of the gospel, the seed, the presence of Christ, in the unique soil of a new culture, and allowing it, under the guidance of the Holy Spirit, to mature at its own pace, to produce ultimately a new, indigenous church. When for example, the Valaam Mission analyzed the spirituality of the Kodiak native peoples in 1795, they expressed a willingness to tolerate certain aberrations (such as polygamy) for a short time, to discuss others (the belief in the inua/yua) and to overlook still others (for example, fasting norms). Father Oleksa uses the parable of the sower to illustrate that the same seed, which is Christ, is always planted, but will produce a different fruit according to the soil in which it is planted. So that a Japanese Christian will produce fruit stemming from the Christ seed planted in the unique soil of his culture that will look the same and yet bring a particular flavor to the understanding of God from which Christians of other cultures can benefit. We have an infinite God, and different cultures can bring out elements of His Person that they might not see so clearly within their own. I attend an Orthodox church with people from many different nations. We respect our differences and yet are bonded as a church family because of what we hold in common—Christ and His absolute sacrifice to save all of our necks. I love to be around the Arab and Greek, the Russian, Georgian and Romanian parents. 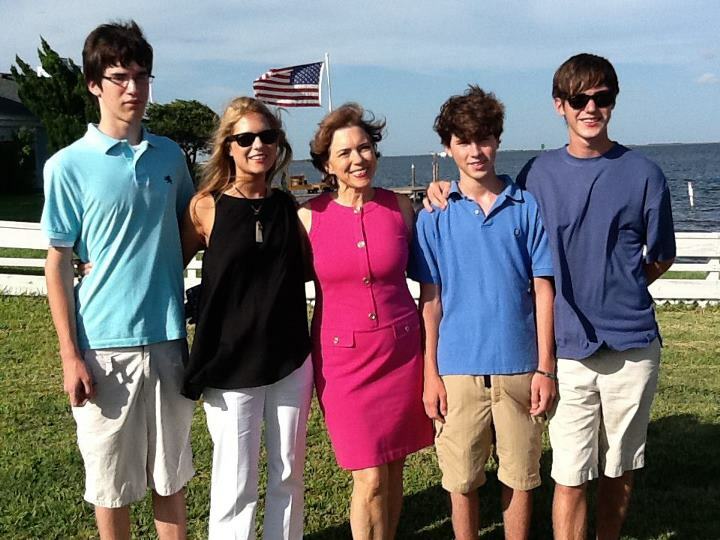 I am continually struck by how well they raise their children, respect each other in marriage and value their elders. This was taught to them through traditions long inculturated with Christianity. I benefit by being around their passed down native wisdom and I hope they benefit from mine. We do not have to be the same in order to be part of one Body. What is our particular soil? What is yours, what is mine? I believe that understanding where we come from, embracing the good in it and through following the traditions of the Church, allowing healing and correction to come to us where we are not “perfect”, we can grow. I also believe that much of the current growth of psychology is actually a replacement for what is best provided by a culture healed by Christ. Inspired and instructed by the missiology of the church, I seek to live within and embrace the soil in which God has placed me, to keep it plowed by having a willingness to see my own blind spots so that His seed can find root. To be this American woman, raised in Arkansas, party girl in college, mother of four, living in Little Rock, canoeing on our beautiful rivers and treasuring my family’s elders who have seen a lot and know a lot. This is my soil. 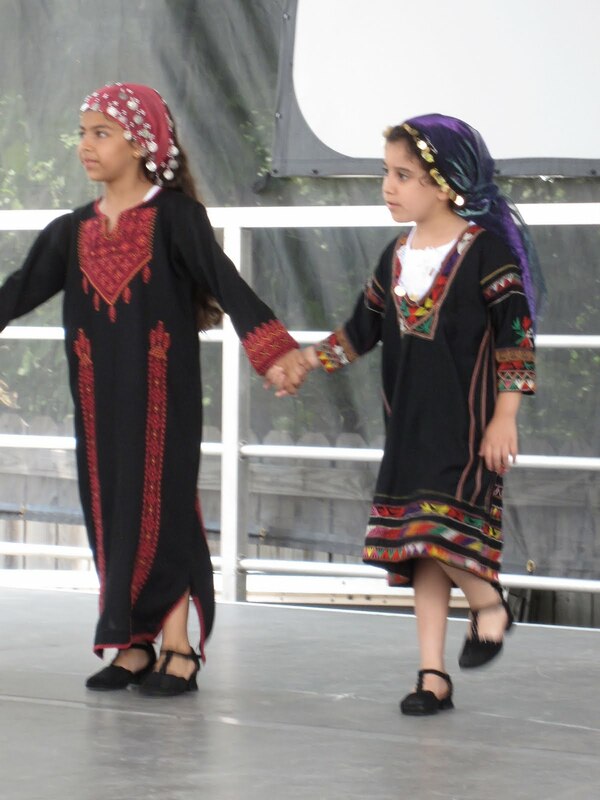 This is my culture. Thanks be to God for coming to me in this very place. NOTE: Last month’s topic was “How We Use Our Words.” Check out my post, “Christian is Not an Adjective,” and eleven others HERE. Thanks for reading, and of course I love to get comments, here or on FACEBOOK. interesting post. makes me want to find out more about alaska. Daphne, this is a beautiful reflection! I felt you did a great job articulating several things that I feel, including my inadequacy at evangelizing and that much of the psychological illness I see around me might have spiritual illness at the root and could be healed in the Church (e.g. Freud’s “talking cure” sounds a lot like confession to me). I am also very interested in the idea of pre-Christian faith traditions that contain truths that point to Truth. Fr. Damascene Christensen’s Christ the Eternal Tao does this for the Tao. Fr. Michael’s work sounds really interesting. I’ve ordered the tape series you recommended. Thanks! Thank you Jonathan for your response and encouragement. Christ the Eternal Tao is a favorite of my mother’s, an 82 year old who is not Orthodox! She reads it for spiritual instruction. It is amazing to see the pre-Christian intuition of Lao Tzu in that book. The Asian Orthodox icons of Christ bless me beyond words, because of my profound respect for the wisdom within Chinese culture.